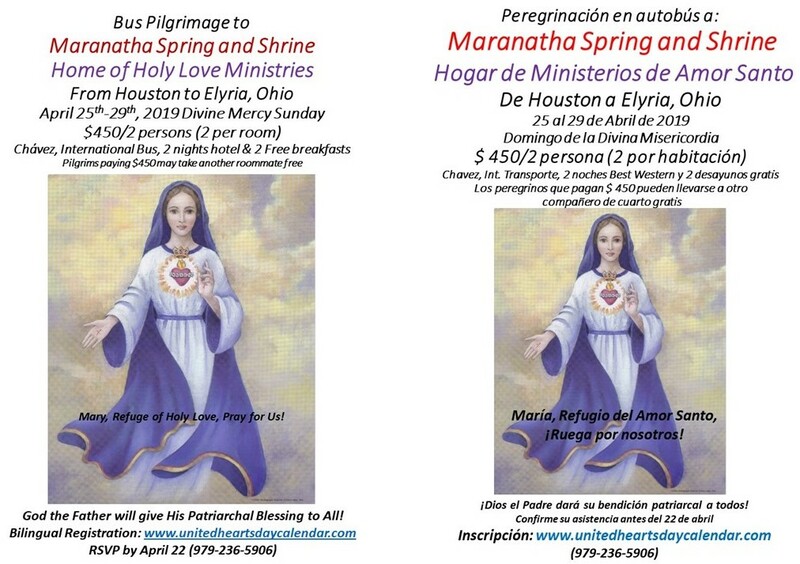 I invite you to come with us on a pilgrimage to Maranatha Spring and Shrine in April, the home of Holy Love Ministries. This shrine, located near Elyria, Ohio, welcomes tens of thousands of pilgrims annually from around the world who are traveling on a spiritual journey toward personal holiness. 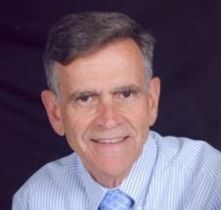 Since 1985, God the Father, Blessed Mother, Jesus, and many angels and saints have appeared to the visionary Maureen on an almost daily basis to prepare souls for Jesus’ return through the grace filled simple gospel message of loving God above all and neighbor as self. Holy Love Ministries is a global ecumenical ministry promoting the truth in the tradition of the faith. The water from the spring is a source of grace for physical and spiritual healing and for healing of the heart. Many miracles have been witnessed and after returning home pilgrims say they have experienced changed lives and now walk on a spiritual path. Our Blessed Mother has called this Shrine the “Lourdes of this continent”. Every pilgrim that visits with an open heart does not leave unaffected for Heaven knows and gives what each pilgrim needs. God the Father has promised a special Patriarchal Blessing on all who gather on this year’s Divine Mercy Sunday. In addition Our Blessed Mother has just added a Special Blessing on the same day. Our bus will leave from Richmond, TX the morning of Thursday, April 25th and arrive at the Best Western in Elyria, Ohio by the afternoon of the 26th. We will travel by way of Baton Rouge, New Orleans and Cincinnati to pick up additional pilgrims. We will visit the Shrine on Friday afternoon(time permitting), Saturday and Divine Mercy Sunday, leaving about 5 PM and arriving home the evening of Monday, April, 29th. We will prepare our hearts for the graces abounding at this shrine with prayer, praise and worship, testimonies and teaching as we travel before and after our visit. Some of you know of my 14 years of devotion to this mission and the messages. Never have I experienced the personal love of the Immaculate and Sacred Hearts in such a concerted and synergistic way! I wish to share this grace with each of you, but even if you cannot come with us this year, subscribe on my website for my 52 weekly tips on how to enter deeply into the Hearts of Jesus and Mary through the Chambers of the United Hearts. To register and learn more details, click here (REGISTER). Please consider this e-mail as your personal invitation to learn exactly what Heaven requires from us to enter into the intimacy of the United Hearts of Jesus and Mary. Thank you and may God bless you with the Complete Blessing of the United Hearts and the Holy Trinity. Our Lady: “Please understand, My children, that the layout of this property represents the soul’s journey into holiness and our United Hearts. Note: When locating Butternut Ridge Road on a map, make sure you find the one in Eaton Township,not Elyria — they are two different roads, even though the shrine has an Elyria address. Fecha: jueves 25 de abril-lunes, 29 de abril de 2019. ¿Qué es una peregrinación y qué haces? Peregrinación – Un viaje a un lugar sagrado emprendido como un acto de devoción religiosa, ya sea simplemente para venerarlo (honrarlo), o para pedir el cumplimiento de alguna necesidad o como un acto de penitencia o acción de gracias, o una combinación de estos. Nuestra Señora: “Comprendan, hijos Míos, que el diseño de esta propiedad representa el viaje del alma hacia la santidad y nuestros Corazones Unidos. 1. El alma es atraída primero hacia Mi Corazón Doloroso e Inmaculado [representado en el Lago de las Lágrimas], donde es depurado de muchas de sus faltas más flagrantes. 2. Luego viaja guiado por los ángeles, tal como está representado en la propiedad por el Lago de los Ángeles. Él recibe muchas gracias para profundizar en Mi Corazón y en el Amor Divino, el Corazón de Mi Hijo. Esto está representado por Maranatha Spring en la propiedad. 3. Finalmente, en conformidad con la Divina Voluntad de Dios, llega al Campo de la Victoria, Nuestros Corazones Unidos y el Triunfo. Entiende que todo triunfo y victoria está rodeado por el Camino de la Cruz. Jesús: “El ministerio es como una pequeña flor que empuja a través de la tierra y se abre. La pequeña flor está bajo el manto de la protección de mi madre. Pronto se convertirá en un cercado con flores en el remanente de los fieles “. Ubicado a 30 minutos al oeste del centro de Cleveland, a 1.4 millas al oeste de la intersección de la I-480 y la Ruta 83, en el municipio de Eaton. Nota: al ubicar Butternut Ridge Road en un mapa, asegúrese de encontrar el de Eaton Township, no Elyria; son dos caminos diferentes, a pesar de que el santuario tiene una dirección de Elyria. Llame a la línea de mensajes al 440.327.5822 para confirmar los horarios futuros. NOTA: Todos los peregrinos son responsables de tres cosas: alojamiento, transporte y comida.